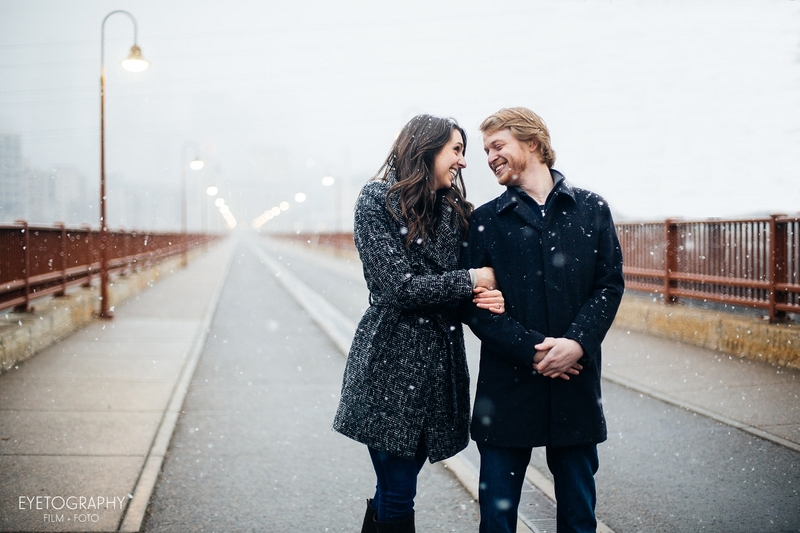 This is why engagement sessions in Minnesota rock. We started the session with zero snow on the ground, as it had been for weeks. 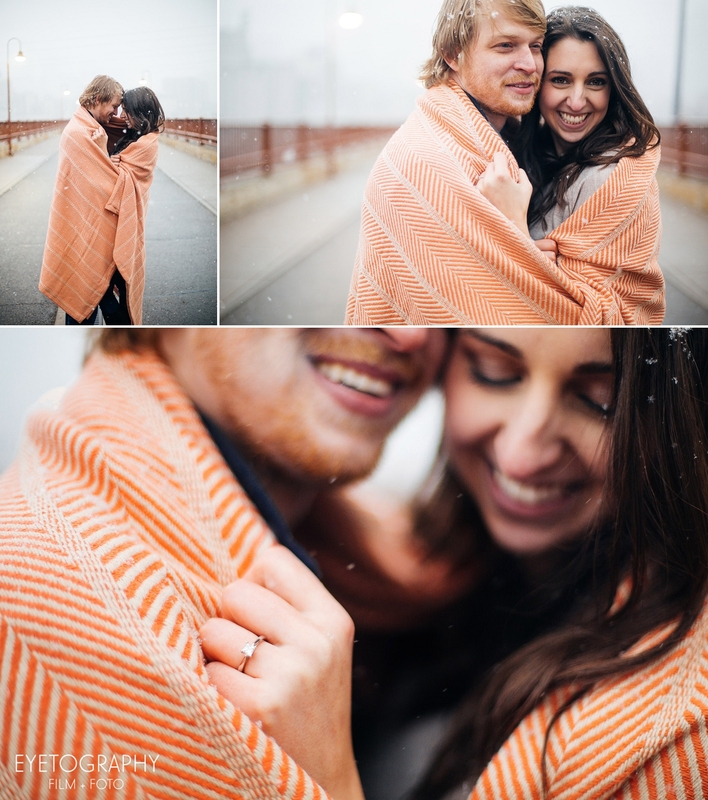 By the end, a gorgeous blanket of white falling on our gorgeous couple, who were happy to play in the sudden flurries as Kuba and I ran around, trying to keep our cool, but almost giddy. 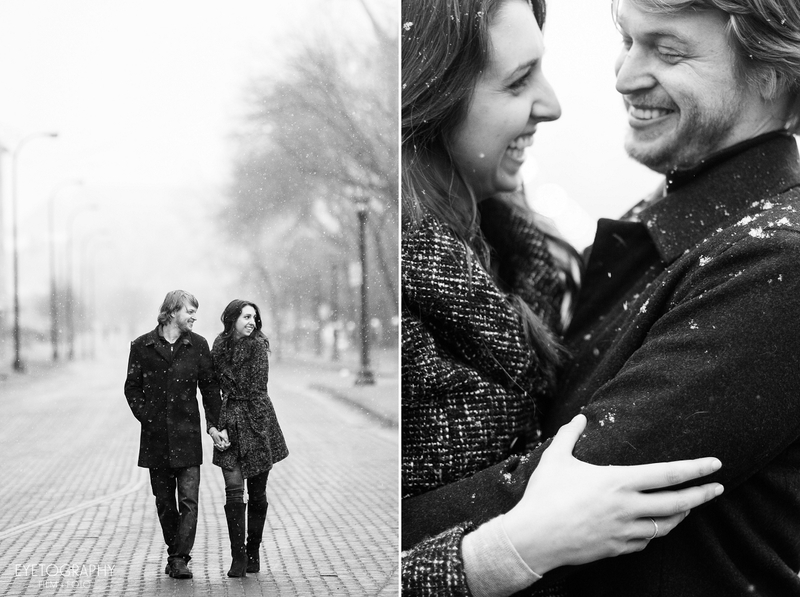 Shooting an awesome couple in a sudden snowstorm? Yes, thank you! Our particular mission on this day was to go to the Aster Cafe, where Blake and Katharine will be officially tying the knot in 5 months time. They gave us a tour of how they are going to set up the place, complete with the space for the pinball machine they are bringing in especially for their guests. It seemed an cool, but unusual choice, until we learned that Blake is an honest to goodness pinball champion, and that there is such a thing as being a pinball champion. We were slightly awed and humbled, til he told us he’s just a regular guy, and didn’t want any special treatment. 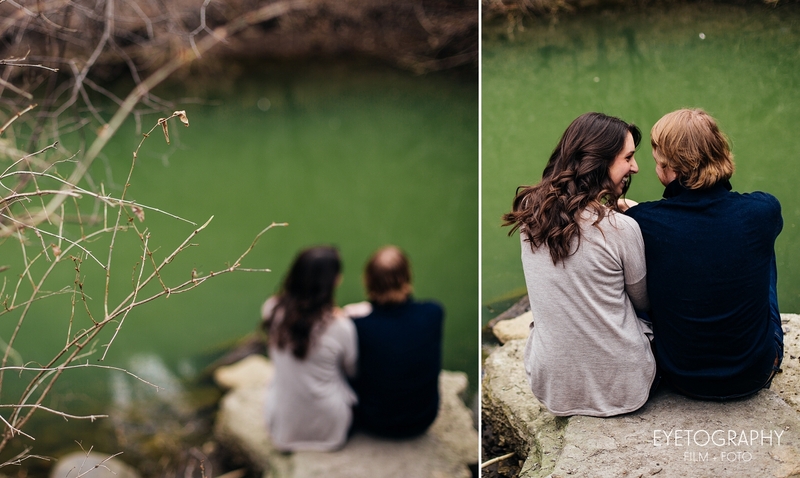 All jokes aside, we had such a great time with both Katharine and Blake, and are so excited for their wedding. Not to mention, we’re so excited to shoot at the Aster Cafe. 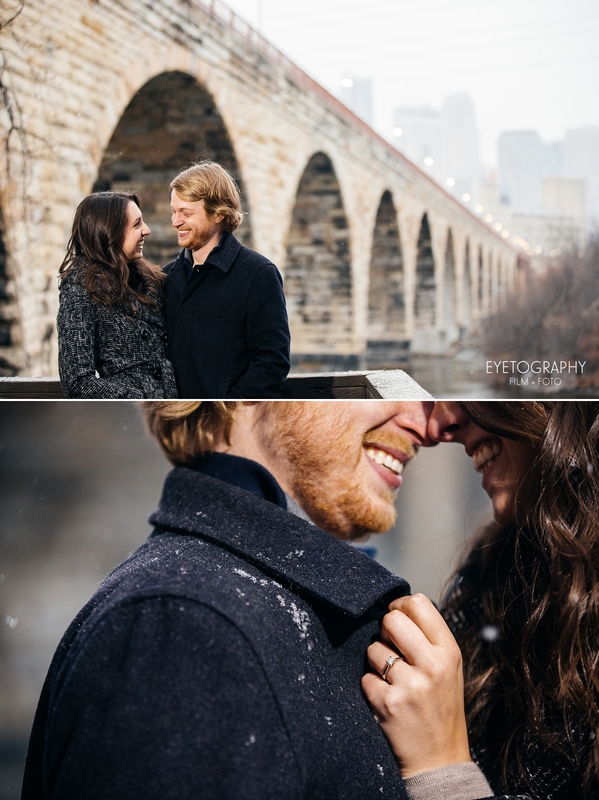 After the snow and the cold, the bartender was happy to let us sit and shoot a few indoor photos. We hadn’t been there more than a few minutes, when he passed us two champagne flutes for Katharine and Blake to toast with. 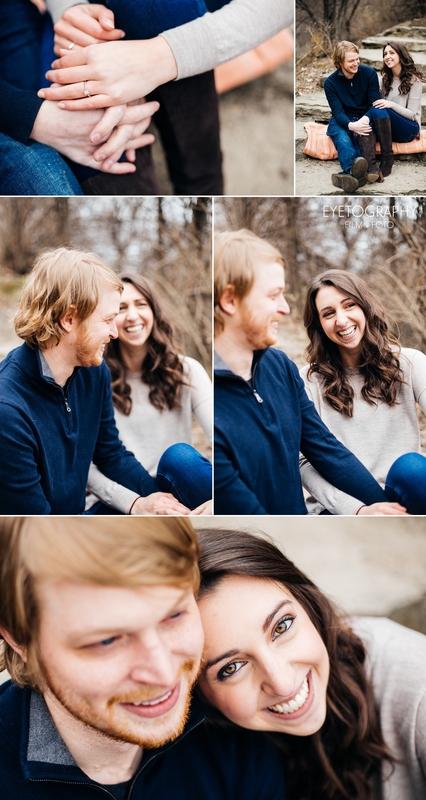 We hope to see him in 5 months with champagne again to toast their marriage. 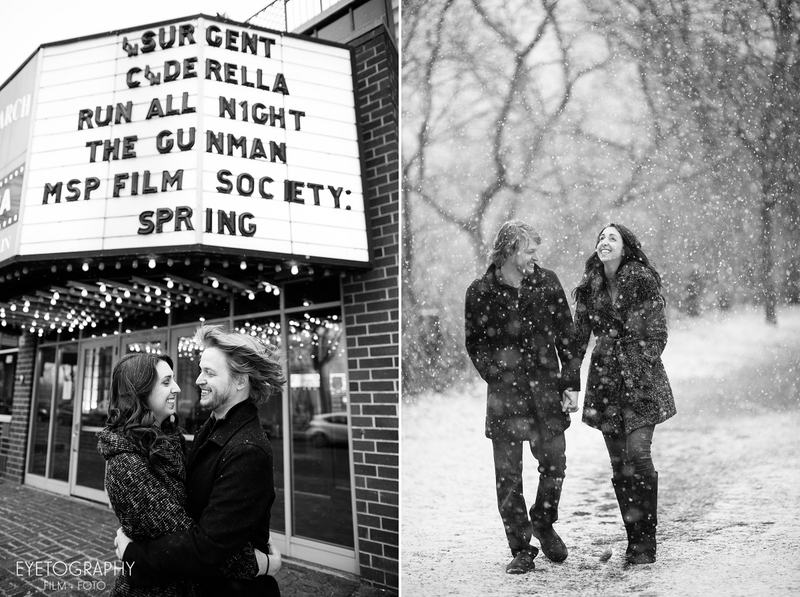 A truly beautiful couple who we are so fortunate to have as our son and daughter-in-law!